Prague Lesser Side – Nowhere Better! Right under Prague Castle, on the western bank of Vlatava river, sits a part of Prague called Lesser Side, or Malá Strana. 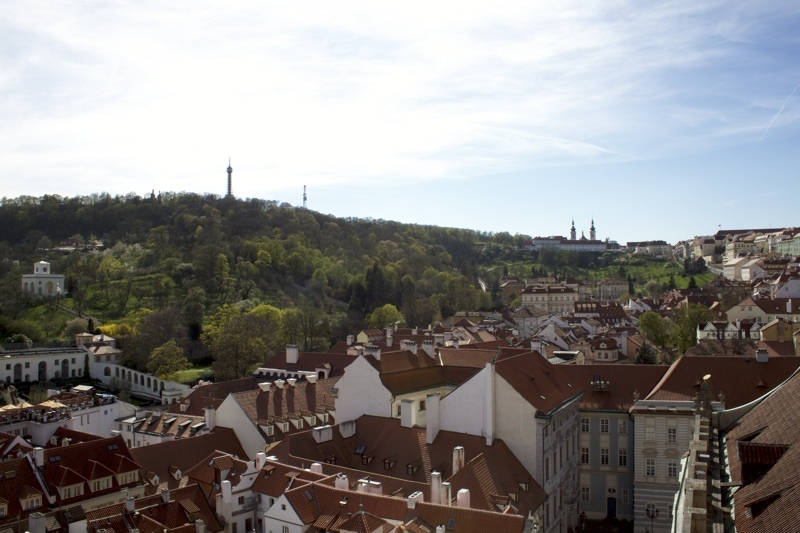 View from Strahov Monastery of Petrin Hill and Prague’s Lesser Side. The first settlement here dates back to the 8th and 9th centuries. These were originally wooden village buildings, a few centuries went by before it became one of the best quarters in Prague. Lesser Side first experienced rapid growth in the 13th century under the reign of Czech king Premysl Ottokar II. He gave Lesser Side brand-new stone walls. 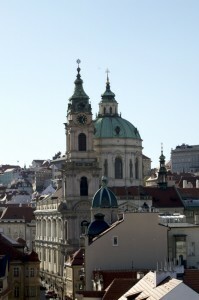 In addition he invited German settlers into this beautiful quarter right under the Prague Castle. Most of the original buildings burned down in a great fire in the year 1541. The fire was so bad, that it destroyed two-thirds of all buildings on this side of Vltava River. Also it badly damaged Prague Castle itself. Moreover noblemen who wanted to build their palaces nearby Emperor’s palace mostly bought this burned land. Then started a new era for this quarter and gave it the amazing architecture it has nowadays. 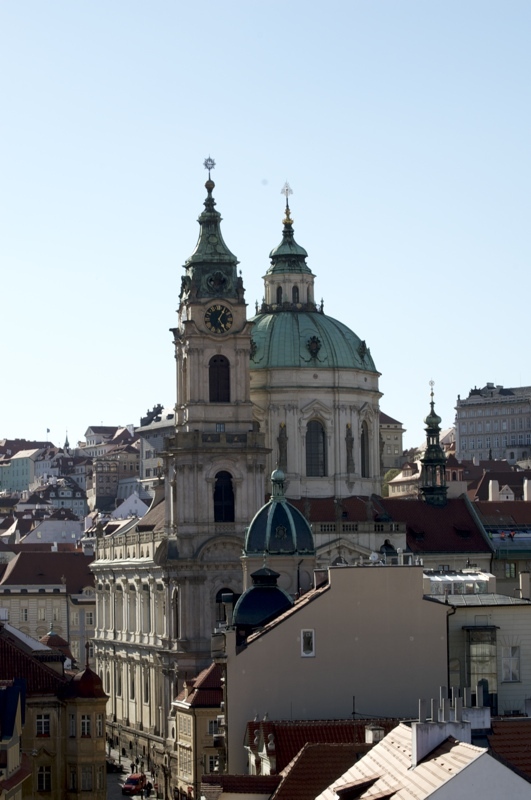 Then on your way through Malá Strana you’ll find sights such as the outstanding late Baroque Church of St. Nicolas (built by Jesuits in the first half of 18th century). The Wallenstein Garden with Wallenstein Palace, Church of our Lady Victorious (with Infant Jesus of Prague), and the John Lennon’s wall. Ask your guide for some tips about what to visit here. So there’s plenty to see, it just takes a local guide to help you find those places on your map. This lively area of the city is full of things to do and see and is full of life day and night.